About 17 companies are being investigated over their handling of pensions advice to steelworkers, the Financial Conduct Authority has said. 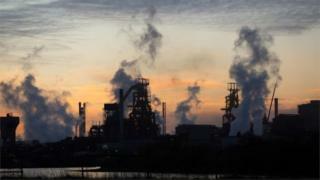 Current and former Tata employees met representatives of the regulator in Port Talbot, claiming they had been given poor advice about moving from the British Steel Pension Scheme. Concerns were also raised about financial advisers and introducers. The FCA said it would take action if evidence of wrongdoing was found. Tata's £15bn British Steel Pension Scheme was seen as a significant barrier to a potential merger with German steel producer ThyssenKrupp. But the two have agreed to take the first steps towards a deal. About 130,000 workers and former workers across the UK with British Steel scheme pensions have until Friday 22 December to make a decision on future arrangements. Options include, staying with the current scheme - which will fall into the Pension Protection Fund - moving to a new British Steel Pension Scheme, or transferring to a personal one. But it is believed about 30,000 members have so far failed to respond. If they do not, they will automatically be placed in a default arrangement, which could leave them worse off. Pension holders said the option to transfer to a private scheme had "caused concerns", describing a "feeding frenzy" as financial advisers descended on steelworkers. About 60 members of the scheme met FCA representatives in Port Talbot on Thursday, with most claiming they had been given poor advice. Four firms have already been stopped from giving pensions advice after the intervention of the financial regulator. Because of the issues, Aberavon MP Stephen Kinnock has asked for the deadline to be extended to give workers more time to make a decision.